Did you know about Swat valley in Pakistan?? Swat valley lies in the lap of mountainous ranges of Hindu Kush providing unparalleled scenery. The plains in the area start from the city of Malakand, consisting of valleys, rivers and lush green meadows . The economy of Swat depends 38 percent on tourism and 31 percent on agriculture. 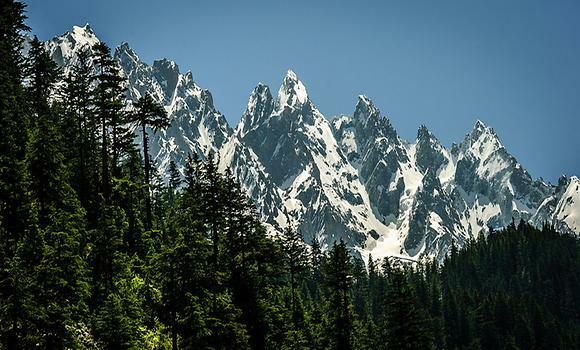 There are a number of tourist attractions in the area which include Fizagat park, Malam Jabba (largest ski resort in Pakistan), Swat Museum, Miandam, Kalam, Utror, Pari(Fairy) Lake, Kundol Lake, Bashigram Lake. Various other locations also offer breathtaking views of nature and provide good recreational facilities. Lakes of the valley have a good variety of fish and minerals. Handicrafts of Swat are very famous including stone art, woolen shawls, rugs, embroidery and furniture. The noble prize winner, Malala Yousafzai is from Swat along with other notable personalities of the country. All in all, if one wants to see the natural beauty of Pakistan, Swat valley is the place to visit. For details about touring excursions to SWAT valley kindly contact us on the below. What’s App: +92 344 5053818.